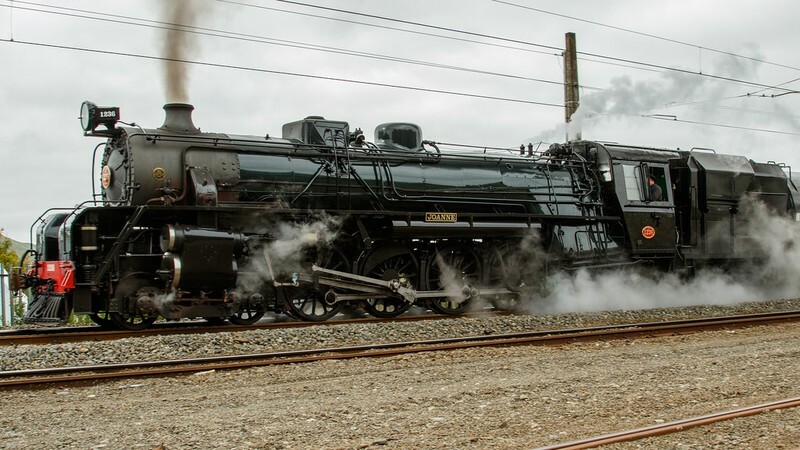 Travel with Mainline Steam as we head to Whanganui for the Vintage Weekend Whanganui Festival where the train will be used for shuttle trips to East Town and Kai-iwi as part of the festival on Saturday and Sunday. 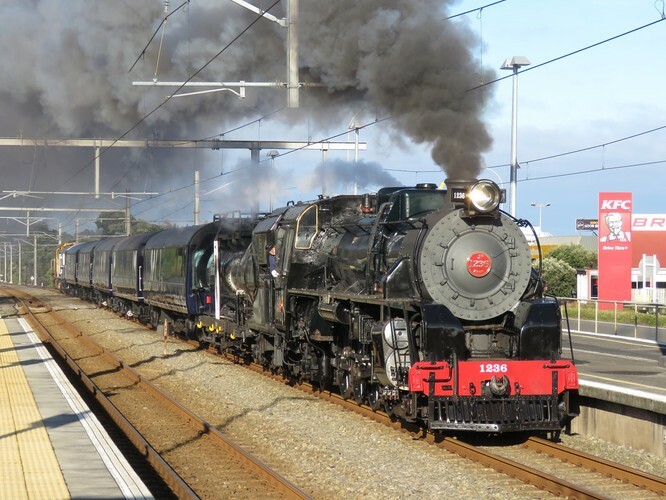 Our steam locomotive JB1236 will haul the train from Plimmerton with passenger pick ups at Paraparaumu, Otaki, Levin and Palmerston North Railway stations. 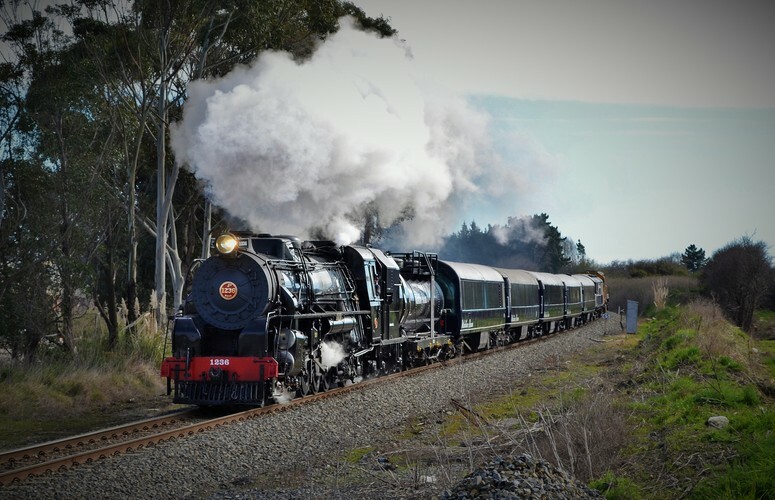 Enjoy the comfort of our Air Conditioned big window carriages as we travel up the spectacular Kapiti Coast, through the rolling country side of the Manawatu and Whanganui regions. 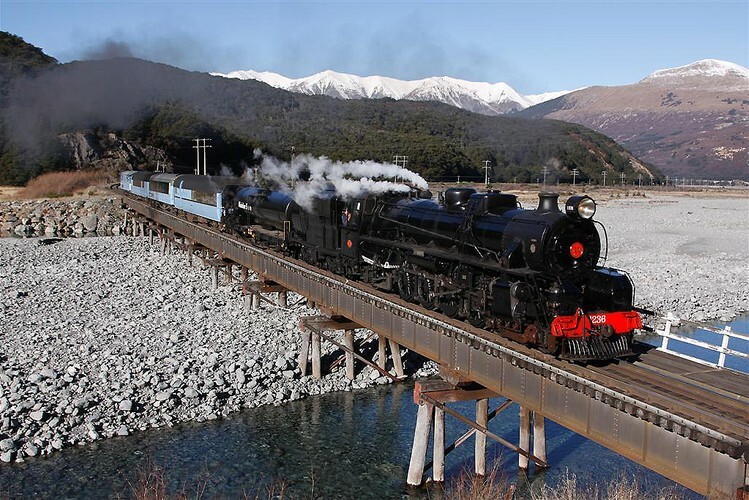 The Whanganui river is always a grand sight and will be full of activity with the Paddle Steamer Waimarie and other boats as part of the Vintage Weekend Festival. There will be an open air viewing carriage on the train and our buffet car will be selling sandwhiches, pies, sausage rolls, drinks and snacks. Cash sales only sorry no EFTPOS. Departure times Saturday 20 January are: Plimmerton 7.35am, Paraparaumu 8.20am, Otaki 8.45am, Levin 9.10am, Palmerston North 10.25am. You will be returned to your boarding stations on Sunday 21 January through the late afternoon and early evening with an expected arrival back at Plimmerton at 8.30pm Sunday night. We have secured a limited number of double rooms at The Grand Hotel in Whanganui, rooms are $120 each or you can arrange your own accommodation.